Search Sun Lakes, Arizona Homes for Sale and join The KOLB Team in living in this great active adult community. 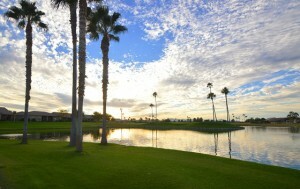 Sun Lakes, Arizona is located in the East Valley of the Phoenix area bordering Chandler to the south. Just three miles east of the I-10 off of Riggs Road, you will find five separate Robson developed active adult communities. Each of the five communities has their own golf course, tennis courts, swimming pools, club house and social activities and restaurants. The communities include Sun Lakes Country Club, Cottonwood, Palo Verde, Ironwood and Oakwood, with Oakwood being the newest. Palo Verde, Ironwood and Oakwood are all gated communities. Enjoy 99 holes of golf, 27 tennis courts, pickle ball, swimming pools, senior softball league, billiards, golf and tennis leagues, arts, crafts, sewing, hiking, biking, camera and many other clubs and organizations. If you are looking for a home with a lifestyle, consider Sun Lakes, Arizona. Our Sun Lakes Community Video is below. Take a look and then call us to show you around and introduce you to Sun Lakes. See Sun Lakes, Arizona homes for sale that are actively listed now.